The right-angled drill is a cool and pivotal tool for both drilling professionals and DIYers. To get the most out of it, most users prefer pumping up its performance using a myriad of drill attachments. In light of that, getting the best right angle drill attachment is everyone’s wish. As such, this review seeks to get you all the important bits you’ll need to consider while shopping for right-angle drill attachments. The post also contains a review of our best picks, buyer’s guide, how-to, and FAQs. Our top pick for the best right angle drill attachment is the DEWALT DWARAFS Right Angle Flex Shaft, 12". The tool features a heavy duty build which ensures it can take a thorough beating and perform its task seamlessly. Also featuring a 12 inch extension and a true 90 degree (right) angle, embedded magnet, and quick change bit chuck, the tool is more than adequate for both professionals and amateurs. 1. Our Pick: DEWALT DWARAFS Right Angle Flex Shaft, 12"
Features a 90-degree right angle flex shaft. Has a 10X magnetic holding power. It is designed with Rapid Load head. The DEWALT DWARAFS Right Angle Flex Shaft offers extended holding power thanks to its 10x magnetic holding power. The magnet also ensures the tool offers an accurate alignment. The tool also boasts of a Rapid Load ™ head which ensures the user has easy and fast bit changes. The product also has a true 90-degree angle on the head area in addition to a flexible shaft. This ensures the user can reach even tighter and hidden spaces. It is also fitted with a side handle which means increased leveraged and support. Designed for heavy duty and thorough beating. Flexible shaft for working on hard-to-reach areas. Its fasteners are supported by ring magnet. It’s fitted with an ergonomic ABS handle. It offers better accessibility to drill holes and drive screws. 10x magnetic screw lock system. The DEWALT DWARA100 Right Angle Attachment features a 90-degree drilling angle which enables the user to drive screws and fasteners with any drill or screwdriver. The 90-degree angle feature also allows one to reach even the tightest quarters with a 1” bit tip. The tool is also designed with impact ready performance which allows for the use of impact drivers. The attachment also features an ergonomic ABS handle. This means the handle does not get hot during operations and allows for tighter grips with any impact driver plus increased gear strength. Since it’s fitted with a magnet for securing the fasteners, it ensures to reduce slipping and wobbling. It’s an impact ready tool. It is fitted with a ring magnet for holding bits securely. Can only access tight quarters with a 1” bit tip and no more. Not reliable for heavy or day-to-day commercial use. It’s fitted with a magnetic bit holder. It is fitted with a 2.75-inch long grab bar that can be adjusted up and down and around up to 360-degrees. Compact design that allows for ease of work in tight spots. Accepts standard ¼ inch hex shank bits. The Milwaukee 49-22-8510 Right Angle Drill Attachment Kit features an adjustable handle which means the user can hold and position it per need. The tool is also designed from heavy-duty technology making it durable. The product also features a compact design which allows the user to work comfortably and easily even in tight areas. With an all-metal housing plus steel gears, the tool offers durability as it can handle up to 235 in-lbs. of torque. It also boasts of a 2” head width. This allows it to be used even in hard-to-reach spaces. Fitted with a magnetic bit holder. The all-metal housing and steel gears make it durable. Cast metal body housing for the gears. The Milescraft 1303 Drive90PLUS is an impact ready tool which means it can be used with impact drivers. The tool is also fitted with new and improved gears that have integrated support. This means it can guarantee longer life and durability. It is also fitted with a close quarter drill characteristic which makes it ideal for reaching into tight spots thanks to its 1.5” minimum reach. The product is also designed with finger grip and flat back handles. The handles provide for comfort and control as well as assistance with perpendicular drilling respectively. Ergonomic design: flat back handling and ginger grip handle for perpendicular drilling and maximum comfort. The magnet is not promising to hold for big projects. Fastener Length: 5/8" to 2"
Dimensions: 10.3" x 9.4" x 2.2"
The Milescraft 1305 Drill90PRO features a full metal construction. The construction guarantees a longer life span, durability, and a smooth drilling experience. The tool also guarantees heavy-duty usage thanks to the all-metal drive that boasts of 4 ball bearings. Also fitted with a detachable extension handle, the product ensures the user can chuck the handle to the drill and use it in the most compact spaces. Also, the tool features a 360-degree removable comfort grip handle. This allows the user to rotate the handle to their desired and comfortable position. The handle also allows for complete control regardless of the angle the user is drilling at. Weak plastic handle that can break after prolonged use. Unit casing only recommended for light duty use. The growing need to drill hard-to-reach areas has led to the invention of drill attachments. Different designs are used for drilling holes of driving screws through hard-to-reach places. With a 90-degree drilling capability, a good right angle drill attachment gives the versatility and precision you need to reach complex spots. Whether you are drilling a hole or driving screws with a standard cordless drill, the attachment will come to your rescue. 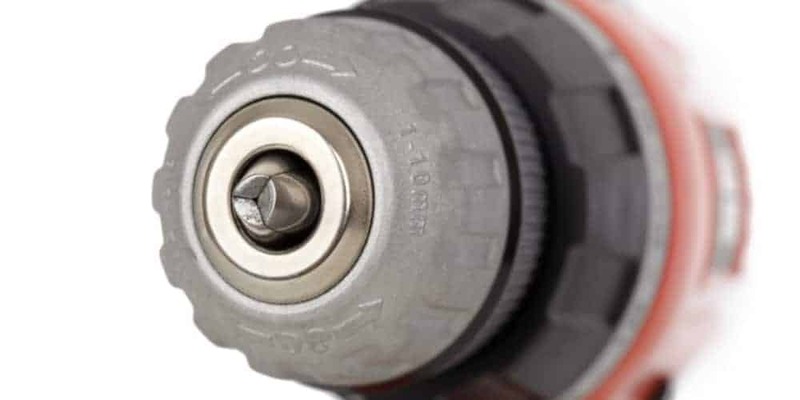 This is a drilling accessory that is fixed on a cordless drill or driver. Its main purpose is turning the drill or driver into a right-angled tool. With it, the user can reach the most compact and hard-to-reach spots and drill holes or drive screws into them. The principle under which the attachments work is a simple yet effective one. Their work is transmitting the drill’s rotation by way of built-in gears. Most of the attachments are metallic. However, some have additional plastic elements like handle coverings. In the wake of high dependence on such tools, the production of the best right angle drill attachments is becoming more sophisticated. The latest designs make sure they are lightweight and portable, easy to use, and durable. 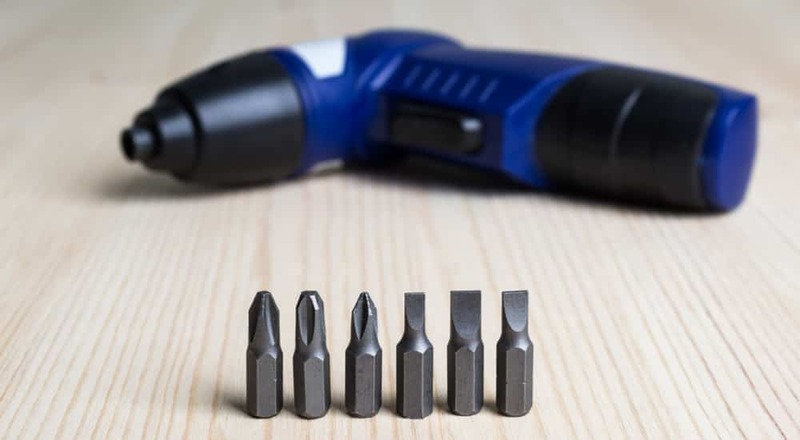 Since there is always a need for some 90-degree drilling, these are must-have tools for professionals and DIYers. A right angle drill attachment features among the handiest tools one should have. It is designed effectively to allow for hard-to-reach drilling where the cordless drills find it hard to reach. The attachments offer the most ideal solution for driving screws or drilling holes at awkward angles. It can also be an ideal tool for drilling between joints or studs, beneath your counter, and other inconvenient positions. A plumber or carpenter can find these attachments to be of great help too. When the plumber is using his ratchet to install pipes where they fit best but it's inconveniencing them, they may result in using a right angle drill attachment. The same case would apply for an electrician who wants to run electric cables through studs, roof, or wall. A right angle drill attachment is designed with ease of use in consideration. Whether it is being used by a professional or beginner in woodworking or other drilling and screw driving tasks, it has a minimalist design to get it working. Everything starts with setting it up, and the same applies to the right angle attachments. The user is only required to attach the tool to their cordless drill and place it inside the chuck. It will then need to be tightened using the hand or any other tool that the manufacturer may advise to be used. Most of the drills available today use six-sided (hex) sockets. Therefore, even a beginner will not have any problems fixing the accessories to the main tool. However, for maximum efficiency, you should ensure to buy an attachment with the same shank shape as your drill’s bit socket. Once you fix the attachment to the drill, you should fix the appropriate drill bit to the attachment (on the other side). You should then tighten it using the right tool or your hands. If you have an attachment that is easy to orient, you can rotate it to your preferred or needed position and then confirm everything is working well by turning the drill on. The above tips would not apply to every drill attachment. This is because the attachments are not similar and present different features. However, the steps are similar in most cases. When it comes to choosing the most fitting and best right angle drill attachment, there are factors to guide you. The better part of the attachments is that they are easy to use and so, selecting the best wouldn't be much of a hassle. However, you should put the following specs into consideration before settling for a drill attachment. The shape of the drill attachment determines its usability and efficiency. Since the attachment is for drilling holes and driving screws through floors, roofs, studs, joists, and other tight places, it is important that you choose the right shape. Since the chuck is fixed at the right angle of the drill, the attachment can fit almost anywhere, but you should have the particular need in mind before making the purchase. The size of the drill attachment’s head should also be of concern long before you leave the house to make a purchase. The best choice, in this case, would be one that fits or is convenient with small and bigger corners. Therefore, you should have the full details of all the choices you have and check which one will fit your job spot. The best right angle drill attachments give the best combinations of speed and torque. A reliable one would be the one that gives you lots of power and torque to hit your target regardless of the complexity of the spaces you’re working on. Most of the leading brands will offer drills that run on the two and three-speed gearing, and their drill attachments would be great accessories. Any tool that serves you for a short time and fails shortly into oblivion should not be on your shopping list. You should, instead, look for a tool or accessory that can serve you beyond the job at hand. The drill attachments, therefore, should have a guarantee and warranty of extended run time and lifespan. If you are a DIYer, getting a drill attachment that is easy to use would be worthwhile. Remember the results of the work you are undertaking will depend on your prowess in the long run. However, if the tools and accessories you are using aren’t giving you much of a trouble operating them, the job can turn out to be easier. Among the topmost considerations for anyone buying the best right angle drill attachment is their running budget. You should not strain your pockets by something that might never help you after the job at hand. Also, you should avoid making blind purchases and instead focus on quality and the value of your investment. High speeds should only be used for drilling holes while lower speeds are designed for driving screws. A drill with more torque will drill better into harder surfaces. This means you should avoid great speeds for drills with greater torques to avoid stripping the screws. You should always wear protective gear like safety glasses and work gloves while using drills. Always keep your tools and their accessories away from children or their playing areas. Once you are through with your work, you should keep them away in safety boxes or locked rooms. Q. Why do I need a right angle drill attachment? A. The right angle drill attachment is a vital accessory that will help you to drill holes even at the most hard-to-reach areas. Q. How much is a right angle drill attachment? A. The prices of such accessories vary depending on the make, brand, and the features. Q. Is a right angle drill attachment hard to use for a DIY like myself? A. No. These accessories are designed for both professionals and DIYers which means they are easy to use. Q. Can I use a right angle drill attachment for driving screws into a workpiece? A. Yes, the accessories are used for drilling holes as well as driving screws into hard-to-reach areas like corners, wedges, through studs, floors, roofs, and beneath static surfaces. Our best pick for this category is the DEWALT DWARAFS Right Angle Flex Shaft, 12". We feel it’s the best choice for both the professionals and DIYers who have had it tough trying to drill holes or drive screws through to the hardest spots. You can have it as a choice for drilling holes through floors, studs, wood, or other surfaces that require 90-degree angle drilling. The DEWALT DWARAFS features a Rapid Load design which ensures you get a quick change. With its 12” right angle flex shaft, it also offers you a 90-degree right angle head. This ensures you get the much-needed versatility to reach complex spaces. If your budget is a bit tight, the DEWALT DWARA100 Right Angle Attachment would be a perfect choice too. This accessory offers you a 3,000 RPM, but you can also opt for the Milwaukee 49-22-8510 Right Angle Drill Attachment Kit if you choose to stand at the middle. The latter offers you 1,750 RPM and ¼” HEX.